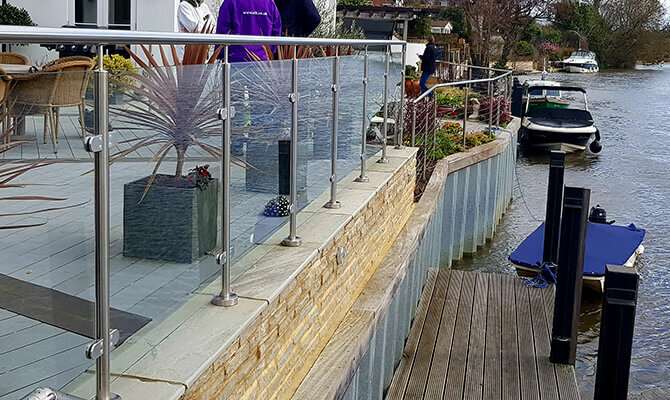 Delightful balustrade installation by S3i Group over looking the river Thames, using a combination of glass balustrade and wire balustrade around the raised patio area. 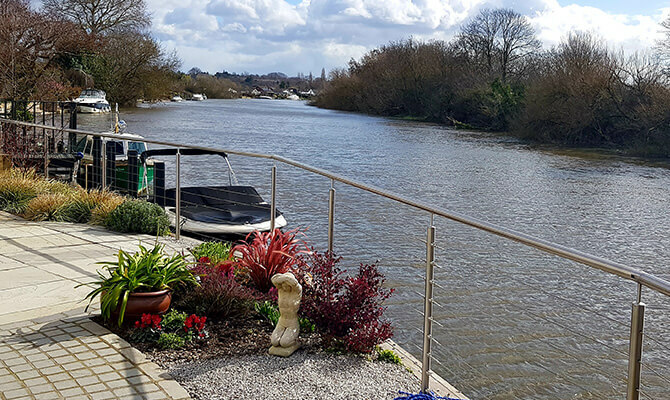 The glass balustrade acts a windbreak whist providing unspoilt views over the river. 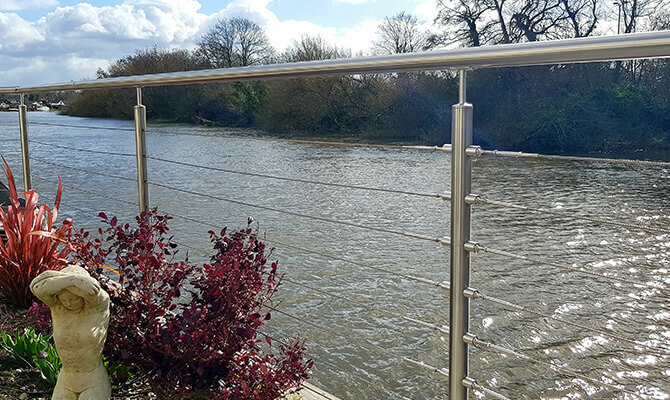 Stainless steel wire balustrade has been used for the stairway down to the boat jetty, providing a strong and easy to maintain safety feature. 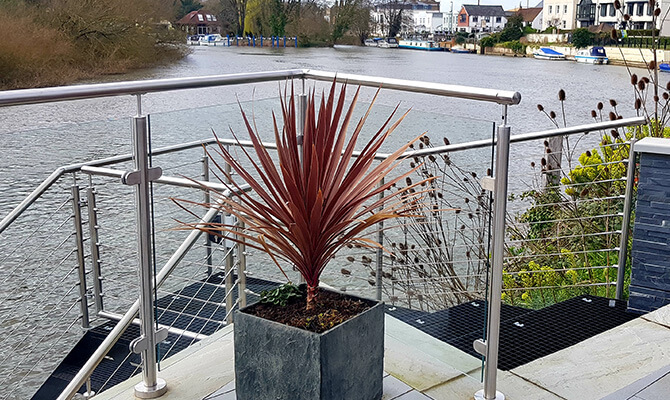 Note how we have run the balustrade wires through the baluster uprights, this cost effective method reduces the number of wire assemblies required. 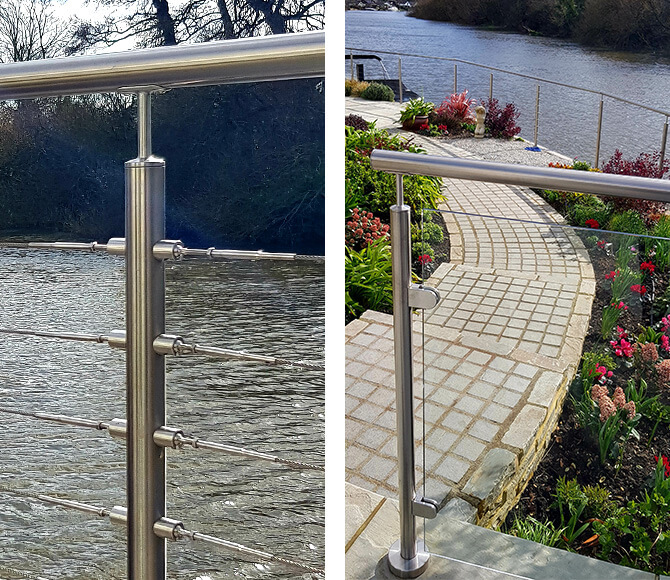 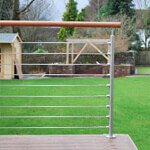 All balustrade components are manufactured from 316 grade stainless steel, ideal for marine environments.